After a lengthy hiatus, it's back to form with a bunch of new desktop wallpapers - this time the theme is "the car I'm driving these days." It’s been a long time since I’ve done one of these, so to make up for it here’s a bunch of wallpapers of the Mercedes-Benz GLK 250 – which should come as no surprise to anyone who knows what I’m driving these days. The little SUV from Mercedes that won the right to carry on the name "Keithmobile." I had an idea of what sort of car I wanted – basically, something similar to my Outlander, but newer (and maybe a bit nicer). This is basically the “compact SUV/crossover” category, and these days that encompasses a LOT of cars. I looked at countless vehicles across several model years – I didn’t want anything brand-new, but at the same time I didn’t want anything more than a few years old. It was a long list of vehicles, but I eventually narrowed it down to two – one of which I’ve already reviewed. The other vehicle – and obviously the one that won out in the end – was a 2014 Mercedes-Benz GLK 250. It almost goes without saying that the GLK is a very nice car in all respects – the interior is a very comfortable place to be, and everything is just very well put together and nicely arranged. The particular model I ended up with has all the nice little touches that you’d expect, and though many are becoming fairly standard on new cars these days, they all feel very new & exciting to me since my old car had none of them! Size-wise, the GLK is almost identical to my Outlander – which is surprising since it looks bigger. But it’s the same length, almost the same height, and only 1 inch wider – so it fits exactly into the same spot in my garage. Very handy! As for technology, the GLK has an easy to use media system with nice easy-to-reach buttons for switching modes (a feature I really like and which some cars don’t have). The built-in navigation is perfectly serviceable – though nothing spectacular. But now let’s get to the real reason I chose this car – the engine. 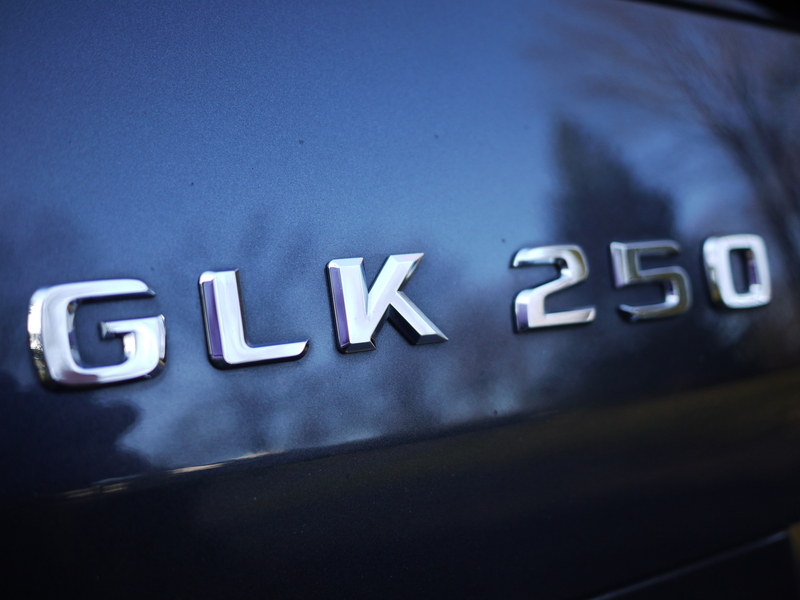 The are two types of GLK class vehicles – the 350 and the 250. The former has a 3.5 liter V6 gasoline engine, while the latter has a diesel. Specifically, a 2.1 liter twin-turbo inline-4, putting out an even 200 HP and an incredible 369 lb-ft of torque. This is the reason I went with the GLK 250. I drove both vehicles before settling on the 250, and while the 350’s engine was plenty powerful, I found that power to be a bit difficult to control. The throttle in the 350 was very fiddly – seemingly dead at first, and then it kicked in with a surge of power that was quite difficult to modulate, especially at slower speeds. The 250’s diesel on the other hand delivers its power smoothly and without any fuss or bother. Additionally, most of that power is available at lower RPMs – as is typical of diesel engines – and which is similar to where the power in my old Outlander was available. All that low-end power from the diesel also helps with towing, and the GLK is no slouch there either with a maximum trailer weight of 3,500 lbs – quite a bit more than my Outlander could tow! Even with the relatively low horsepower for a vehicle of this weight (some 4,246 lbs), the GLK 250 gets up and going like nobody’s business – there is a slight delay right off the line, but the smaller of the two turbos spools up very quickly and power delivery after that is very even. It’s not the quickest thing in the world – in many ways it feels faster than it is – but it’s no slouch, either. Acceleration is steady – one might even say relentless. Even at highway speeds the power is always there should you need it – just put your foot down and you just ADVANCE and suddenly you’ll find yourself going a lot faster than you meant to be. Of course, it also has AWD – Mercedes’ 4MATIC system – so even when conditions get slippery there’s no problem getting all that power to work. The engine does have variable valve control but there’s no sudden “surge” of power at any point – it is always very smooth and controlled, and (once the turbo has spooled up) very linear. Even with a heavy AWD system and a rather chunky aerodynamic profile, the GLK 250 still manages to get a very decent 24 city/33 highway MPG – and in practice it does even better. Combine this with a 17.4 gallon fuel tank and the GLK 250 has an incredible cruising range. On top of this, the GLK is a tremendously comfortable place to be for long periods of time, making it the perfect choice for long-distance road trips. The suspension just soaks up the bumps, but without feeling floaty or disconnected as can happen with too-soft suspension systems. It’s soft enough to make rough roads comfortable, but tight enough to let you attack corners in this heavy SUV with confidence. As for that diesel engine – I’ve driven several diesel vehicles now (an Audi A4 wagon, a Fiat 500L, and now this GLK 250) and I have to say, they do take some getting used to. With diesels, all the power is generally down low in the rev range – no high revving needed – and the addition of turbos makes things even stranger if you’re only used to naturally aspirated engines. But of course the upside is torque, torque, torque! None of these cars is particularly fast per se, but they are definitely quick! When used in an SUV application though, I think a diesel is a perfect fit – power to get a bulkier SUV moving, but small enough to be fuel efficient. It’s a shame they aren’t more common (at least here in the US). The GLK does have a few downsides, though – none serious enough to turn me off, obviously, but your opinion might differ. Foremost is that rear seat legroom is… not that great. As I said, this GLK is the same length as my Outlander – but the GLK has a bigger engine compartment, so that extra space has to some from somewhere. In this case, that space came from the rear seats (the front seats and cargo area are virtually identical to my old Outlander). It’s not exactly bad, but it’s not great – especially if you put the front seats all the way back. Now, I rarely have passengers (and I don’t put my seat that far back) so this wasn’t a big deal for me – but this might be a major drawback for people who regularly carry more than 2 people. In addition to the slightly restrictive rear legroom, the rear wheel arches intrude into the rear door openings a bit more than I’d like, which makes getting in & out of those back seats a little tricky at times. It’s not terribly difficult by any means, but it is noticeable. If you have passengers with any sort of mobility restrictions, they won’t be happy in the back of a GLK. Another minor downside with the GLK is that later model years moved the transmission lever to the steering wheel column. It’s not like the old steering wheel systems of yesteryear by any means, but it does take some getting used to. More than once I found myself reaching down to change gears before remembering it’s now just a tiny little stalk on the steering column. All-in-all though I think the GLK 250 is a fantastic SUV – the diesel makes it a blast to drive, and although very comfortable it’s still got plenty of “utility” going for it as well. If you’re after a small-ish SUV with some style and comfort, you might want to give a GLK a look! 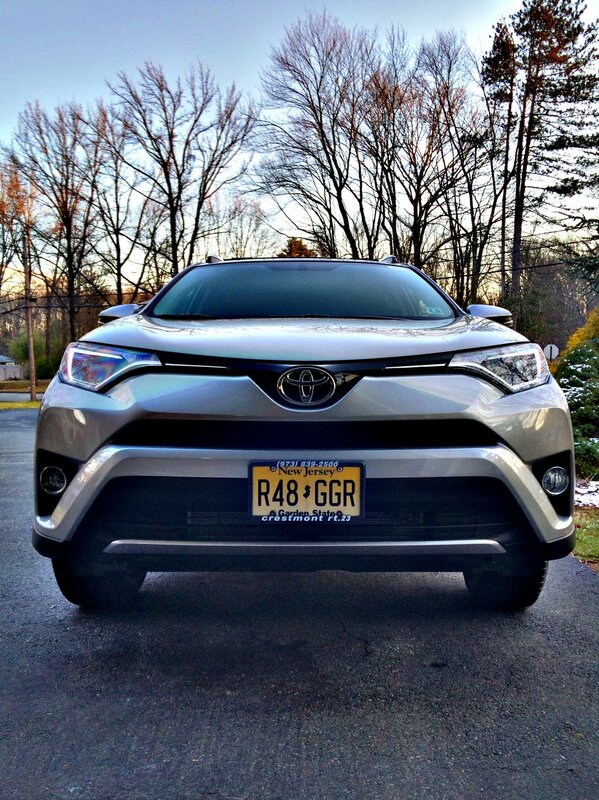 Behind the Wheel of Toyota's latest RAV4 - the most "meh" of SUVs I've ever driven. Recently I found myself with the chance to drive the latest Toyota RAV4 for an extended period of time (it was a loaner while my car was in the shop) – and I have to say, I kind of regret it. The RAV4 I was driving was the very latest 2016 model, but even with all the nice options on this particular car, it just rubs me the wrong way – in all the wrong ways, in fact. First and foremost, the seating position in the RAV4 is just awful. Maybe it’s meant for shorter people than me, but I’m not particularly tall, so I don’t know. The seat is quite high up, but the roof is (relatively) low, which means getting into the car requires me to duck my head even to get in & out of the seat. Then, once I’m in the seat, the steering wheel doesn’t come out far enough, and so I have to sit with my legs kind of scrunched up in order to hit the pedals properly, which is not at all comfortable. Then, once I’ve found my seating position, it turns out the steering wheel doesn’t come up high enough – it blocks the top of the gauges. On top of all that, the roof is very low and my head brushes against it while I’m driving. As for the engine, the 176 HP 2.5L inline-4 (the only available engine) is plenty powerful enough to get this (relatively) lightweight SUV moving, but the transmission doesn’t seem to want you to get anywhere near that power. As soon as you get moving, it surges up through all 6 of the gears and then stays there – you have to drag it kicking and screaming to get it to go down into 5th or 4th. That said, it does have one of those “Sport” buttons (with a corresponding “Eco” button, in case you forget that the two are mutually exclusive). However, I wouldn’t ever touch that button because it turns this car from Dr. Jekyll into Mr. Hyde – it’s absolutely insane. The throttle instantly becomes very touchy, the transmission suddenly realizes that 3rd and 4th are gears that exist, and the steering gets very tight. It sounds like it might be a fun mode to be in, but trust me – it’s not. In fact, I’d go so far as to say it’s borderline undriveable in this mode. On top of that, this car has Toyota’s variable valve timing (VVT-i) which kicks in around 5000RPM and it is INSANE when it does – the whole car just SURGES forward; it is more than a little scary. And as if that wasn’t enough, even when in “Eco” mode this car gets really lousy gas mileage. I swear, when driving you can actually see the gas gauge moving. As for the rest of the car, everything else is just… OK. The radio is… OK. The media system touchscreen is… OK. If this car was an ice cream flavor, it’d be plain vanilla. There are lots of plastic-y bits, though some weirdly placed softer materials on the dash which strike me as rather incongruous, but I suppose it helps make things feel a bit softer and adds padding (both physical and for sound-deadening purposes). There is a lot of thoughtful storage (typical Toyota style). In fact there’s so much that it almost make this feel vaguely minivan-ish. Handling is decent – body roll is very controlled – and it feels planted, and of course it turns very well. The looks are just boring – there’s no two ways about it. It looks like any other compact SUV on the market, with really nothing to distinguish it. All in all the RAV4 is an unassuming, docile, practical people mover (if you’re not too tall) that doesn’t do much wrong but also doesn’t really do anything right, either. In a sense it is an SUV for people who want an SUV but don’t really care about SUVs.